If you are facing divorce, child custody litigation , or any other important family law matter, you need an experienced lawyer by your side. If you are facing divorce, child custody litigation , or any other important family law matter, you need an experienced lawyer by your side. The law firm of Keith, Winters, Wenning & Harris, LLC., was founded in 1944. 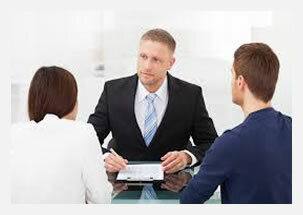 We have been providing generations of clients with experienced and compassionate divorce representation. Our Bradley Beach law firm is on the cutting edge of matrimonial and family practice. We focus increasingly on alternative dispute resolution to limit the acrimony, expense, and potentially harmful impact on children. Brian Winters is a Rule Qualified 1:40 mediator, an early settlement panelist, and a member of the Jersey Shore Collaborative Group. Brian has been certified by the Supreme Court of New Jersey as a matrimonial attorney. Brian is also an accomplished appellate lawyer with substantial experience in appeals of divorce decrees and family court judgments.